Windsor EMS provides a full range of medical transportation solutions in an innovative, realiable and cost-effective manner that is unsurpassed in the industry. Windsor EMS provides a full range of medical transportation solutions in an innovative, reliable and cost-effective manner that is unsurpassed in the industry..
From Houston To Galveston and beyond! We are a family oriented company taking care of your loved ones. 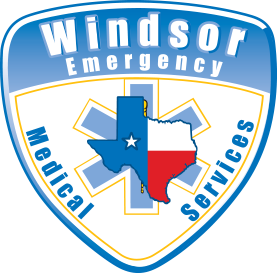 At Windsor EMS, Inc., we have the knowledge and experience necessary to provide the best medical transportation in the area. Our expert team focuses on developing transportation services designed to meet the unique challenges of healthcare institutions and municipalities. Windsor EMS is set apart by superior transportation management and public amenities, like specifically designed shuttle services and ambulance services for critically ill neonates. In order to ensure that our transportation services are top-notch and that we continue to deliver excellent patient care, our Houston paramedics work under a quality assurance program. The protocols we implement in our medical transportation management company create a culture in which quality is at the top of each staff member’s priority list. Our quality assurance (QA) team performs consistent evaluations of the quality of care that our drivers, emergency medical technicians, and Houston paramedics provide. This creates the highest level of pre-hospital care possible and helps to develop new ways to improve our ambulance services. In addition to evaluation by our QA team, we consistently receive input from our knowledgeable healthcare clients. Through both of these initiatives, we’re able to guarantee that quality is the foundation of our transportation management organization. At Windsor EMS, each of our Houston paramedics and emergency medical technicians are certified by the appropriate state licensing department. Our drivers are also continuously screened, and we perform detailed background checks on any potential employees. Each individual involved in our transportation services receives extensive training. This training covers the rules, regulations, and laws regarding health care management in our area. To give the best care possible to the patients who receive our ambulance services, we implement systems that monitor our compliance levels. We serve the Texas Gulf Coast Corridor, from Houston to Galveston and beyond. With state-of-the-art medical transportation equipment, we are patient-driven, reliable, and efficient. Great company! Check out Windsor EMS!